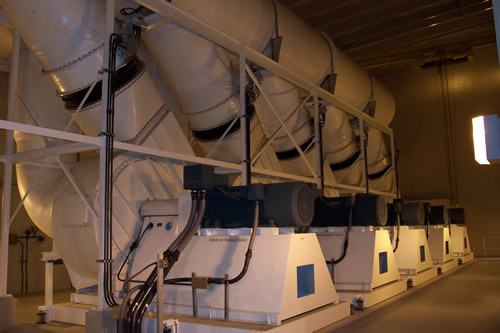 Indusco Environmental Services, Inc. sizes and selects the correct fan for each system application based on the unique conditions required. The gas volume, temperature, density, static pressure, moisture, type gas stream, and process service environment are the items reviewed in making a determination for correct applications. IES supplies only the highest quality fans and blowers for use with all our air pollution control applications. 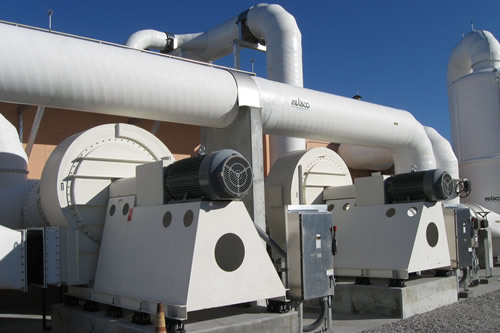 With airflow volumes from 20 cfm to over 100,000 cfm, system fans can be constructed from a variety of materials, including: carbon steel, stainless steel, high alloy type materials, and fiberglass reinforced plastic (FRP). All fans supplied are AMCA certified.